At the first fall of snow, the Choppington’s ‘dedicated team’ were out clearing the paths of our area. 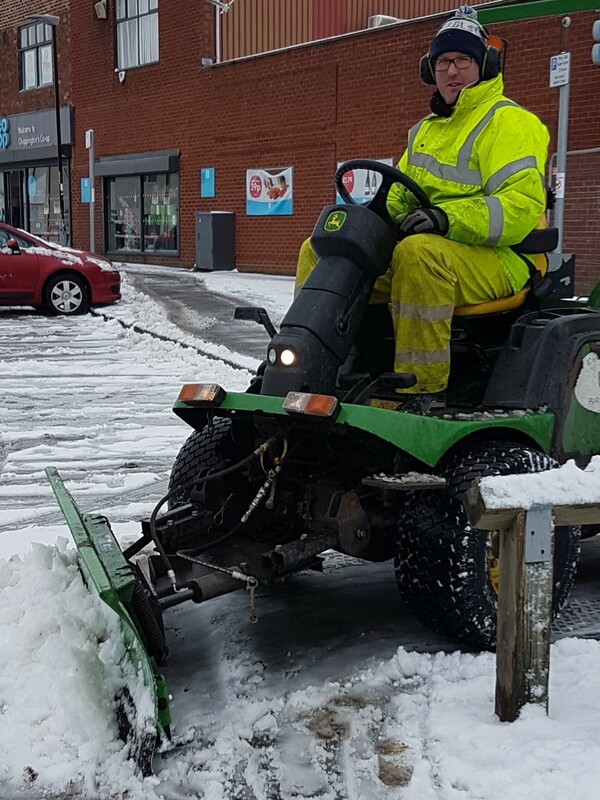 Using modified ride-on grass-cutters with snow blades they were able to clear main thoroughfares in double quick time. These machines are deployed throughout the area as long as the snow lasts and complements the hand distribution of salt and gravel to those areas affected the most. Every day it snows means that they have to start again in the priority areas. If there is an area that requires special attention because of elderly or infirm access difficulties please contact Parish Offices.